We use our smartphones for many things in our professional and private lives. Therefore, we should try to ensure they last as long as possible. Many take precautions like installing anti-virus software and closing background apps, but are these steps really necessary? 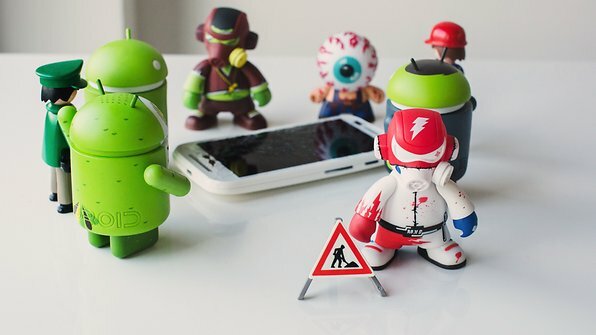 Here are five things you're doing wrong with your Android device. Many of us use task killers or close applications manually from the recent apps menu. But without realizing it that could be harming the performance of our device. When we first open an app, part of its data is becomes stored in the RAM. This means that when you open the app a second time, it will load faster because of the existence of this previously cached data. If you remove the app from the recent apps menu, or delete the cache, the data stored in the RAM is lost also. If you then wish to reopen it you have to start this process again. Only close applications if you must, for instance, if they are draining a lot of battery or occupying too many resources while in the background. If you feel that you need an antivirus program on your Android device then you should bear in mind that they take up resources like RAM and battery: these are intensive applications that run in the background all the time. But having more than one doesn't make you safer. If you decide to use an antivirus app then make sure you choose wisely among the many available and only use one at a time. The operating system of your smartphone needs to be updated periodically to repair deficiencies in security. As soon as you notice an update, accept it. You can even set up your Android device to update automatically. The security of your phone will thank you. It will perform better and be more efficient. Android APK files can be manipulated to contain malicious software which can infect your device. Make sure all your downloads come from reliable sources such as the Google Play Store. There is a lot of controversy surrounding this topic. However, rebooting your device once a week is 'healthy'. On the one hand, memory is saved and temporarily cached data is deleted because it is no longer needed. On the other hand, sometimes memory is blocked and that temporary data is not deleted, which can lead to slowdowns.